The third economic opportunity is long-term energy cost. David Hamilton of Thedford is vice president of the Cherry County Wind Energy Association, of which Bree Denaeyer is a board member. Both are fourth-generation landowners in Cherry County. NPPD is a member of the Southwest Power Pool, a regional transmission organization. The SPP conducted a study, also known as the Integrated Transmission Plan, to assess the needs of the entire transmission network with the SPP region over the next 10 years. The R-Project is one of numerous projects to come out of that study. If NPPD did not build the R-Project, the SPP would find another entity to do so. NPPD is committed to operating in an environmentally responsible manner. We are dedicated to protecting environmental quality while meeting the energy needs of Nebraska. We recognize that how we interact with the environment is of vital importance to you. It is to us, too. That’s why we continuously explore ways to minimize the environmental footprint in all aspects of NPPD’s activities. 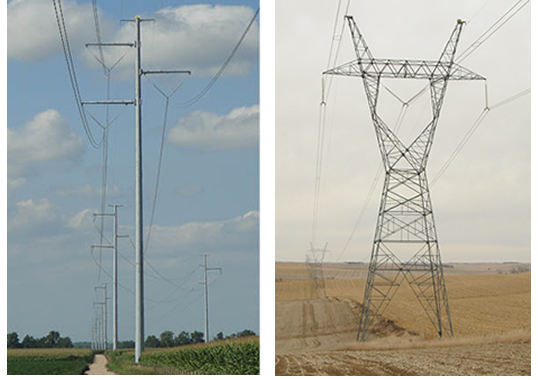 The landscape of the Sandhills is truly unique, which is why NPPD’s engineering team and environmental experts work together to determine low-impact methods to construct the transmission line. We will employ modern construction techniques when building the line and take precautions around river crossings, creeks, and wetlands. NPPD used a thorough and comprehensive public involvement process to site the R-Project transmission line. More than 1,750 individuals attended one of 20 public open houses and public meetings and eight public hearings, providing NPPD with approximately 2,500 comments. The comments were reviewed against more than 50 established line routing criteria that included proximity to occupied residences, towns, villages, and other amenities, plus land use, environmental, engineering, and construction criteria. Learn more here. This entry was posted in Nebraska / Midwest News and tagged Bree Denaeyer, Cherry County Wind Energy Association, David Hamilton, economic benefits of renewable energy development for Nebraska communities, economic benefits of renewable energy development for Nebraska landowners, environmental stewardship, Nebraska Public Power District (NPPD), North Platte Telegraph, R-Project transmission line, Southwest Power Pool (SPP), Southwest Power Pool's Integrated Transmission Plan, tax relief on August 14, 2018 by Helen Deffenbacher.